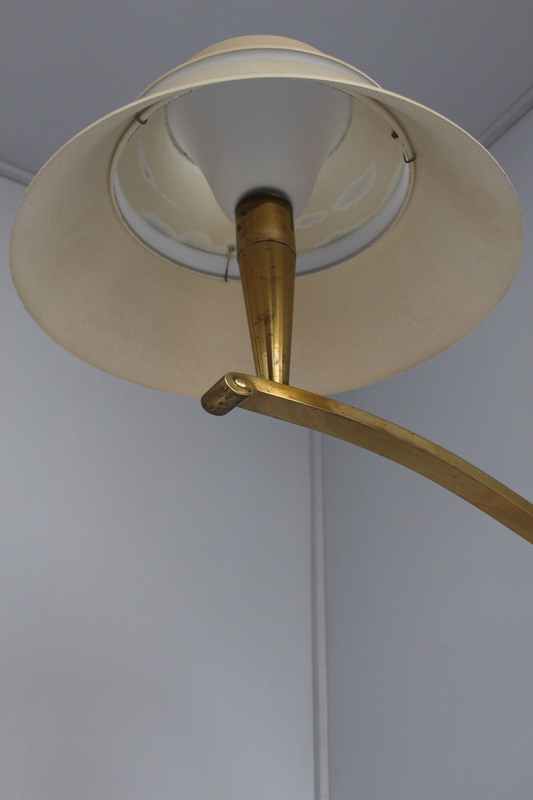 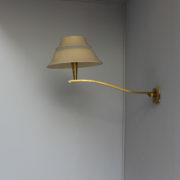 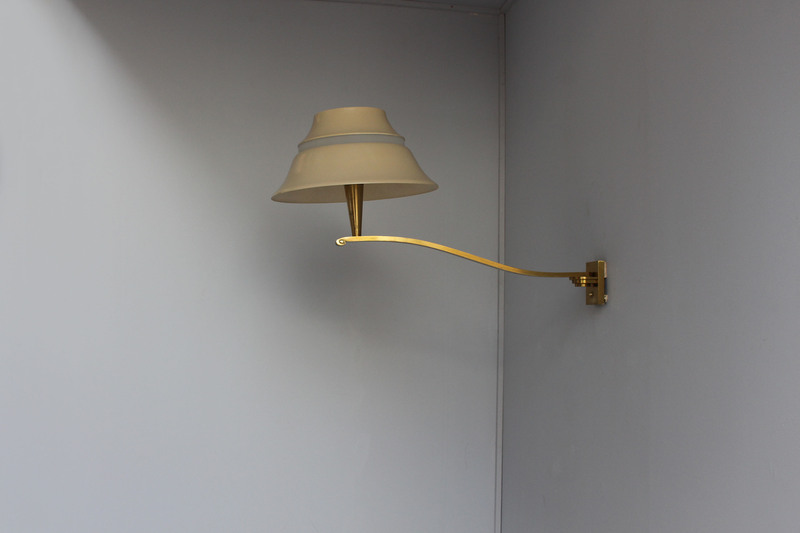 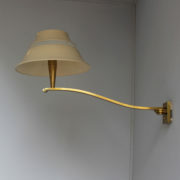 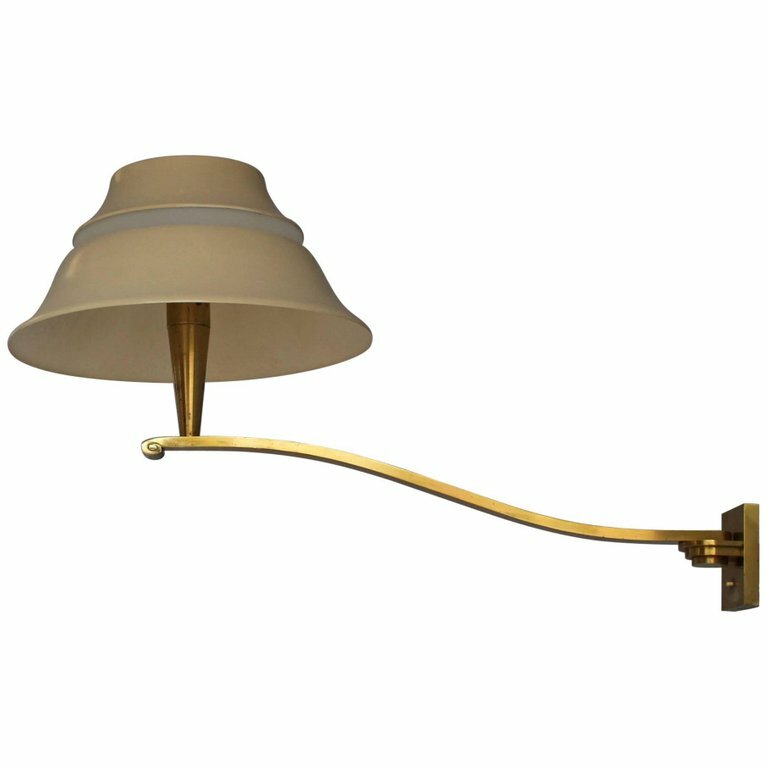 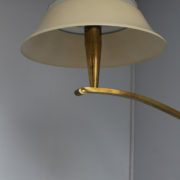 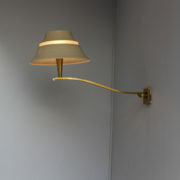 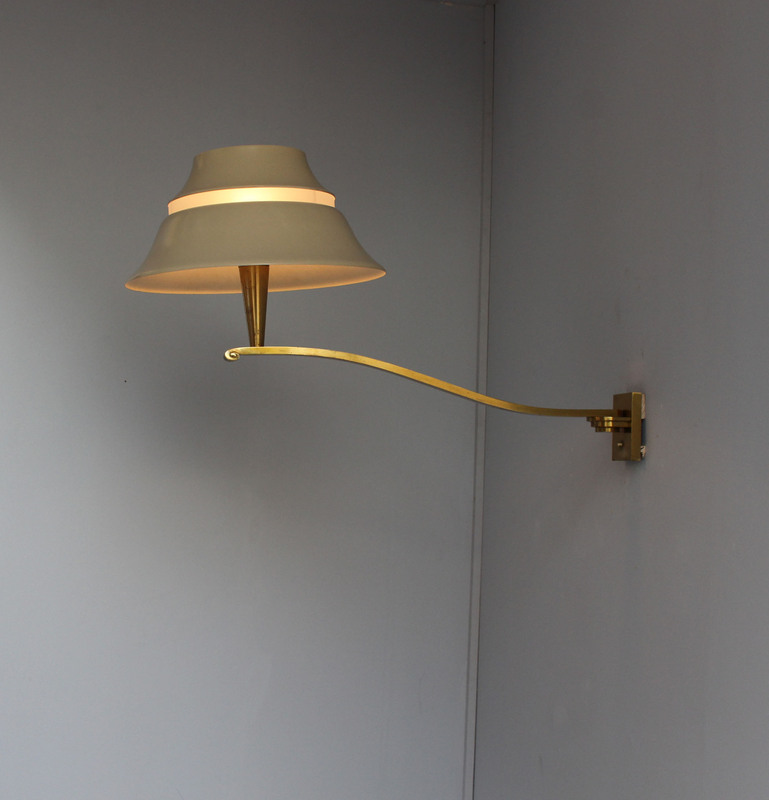 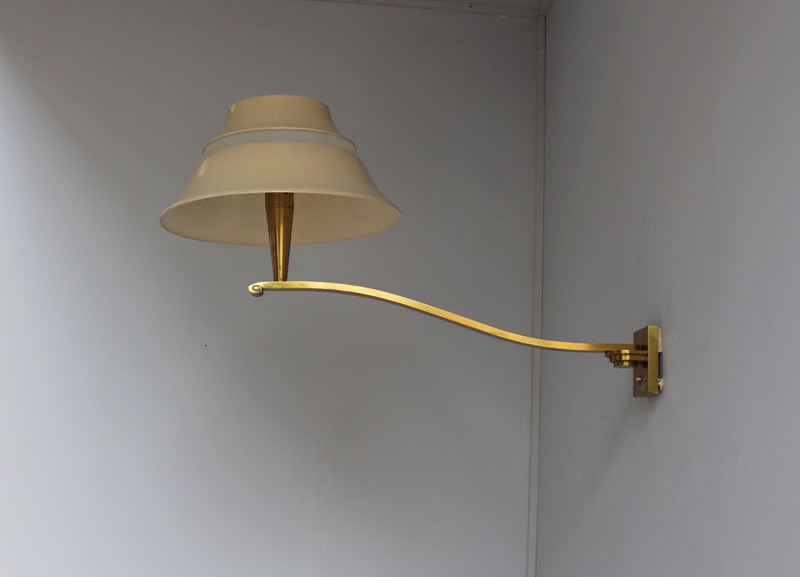 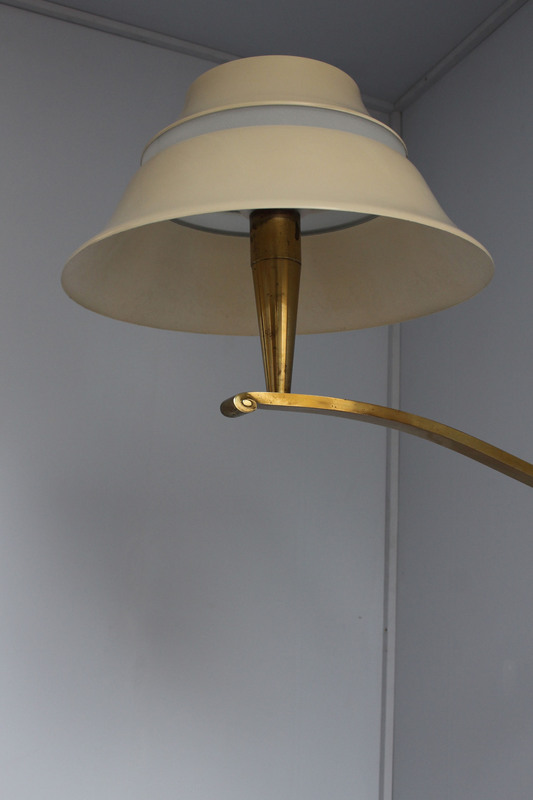 Rare and elegant French mid-century wall or reading light made with a pivoting bronze arm that supports a lacquered metal and enameled glass shade by Jean Perzel. 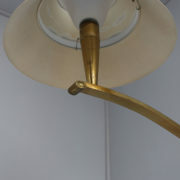 Good all original condition. 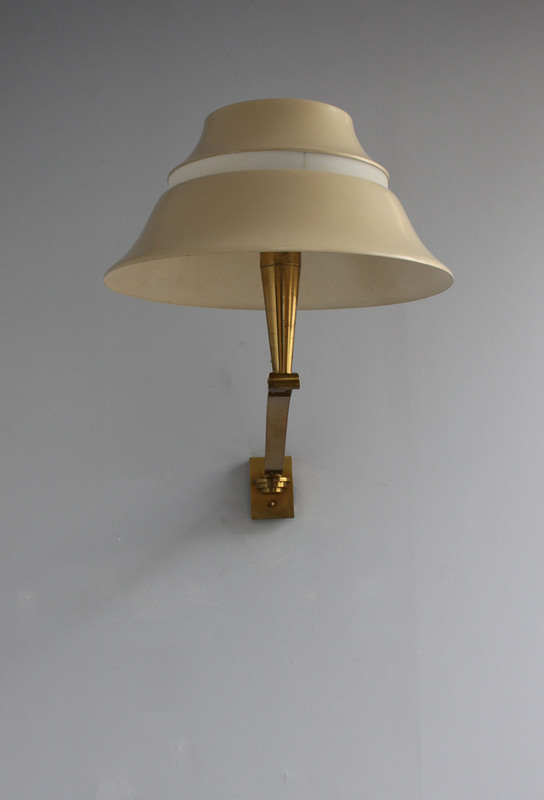 Minor wear consistent with age and use. 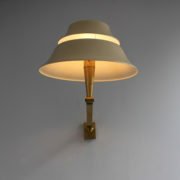 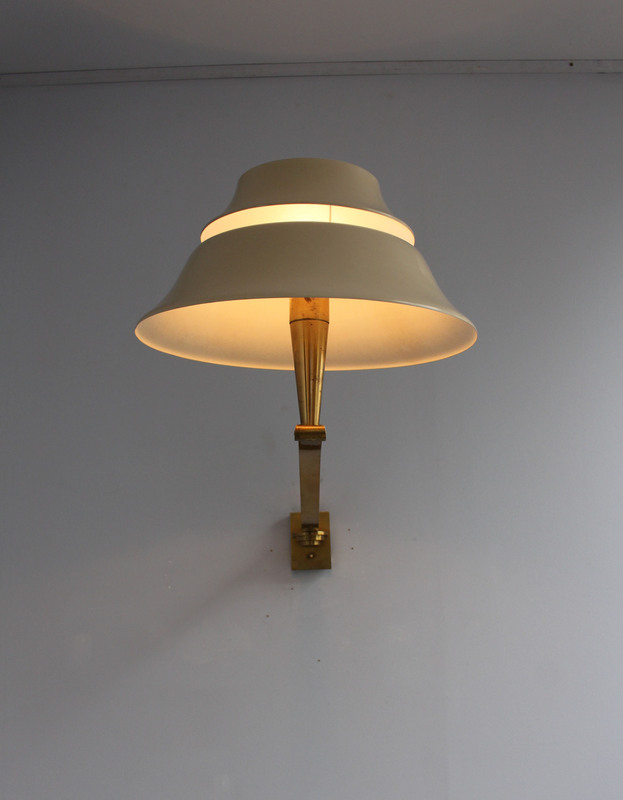 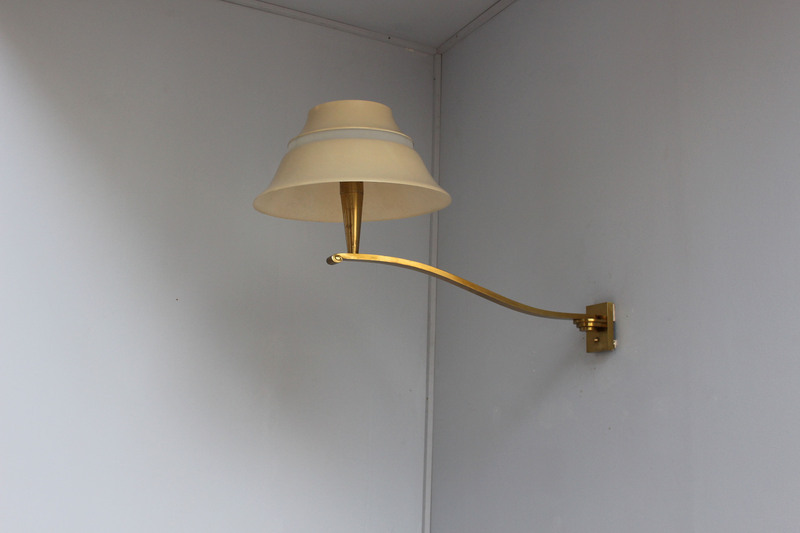 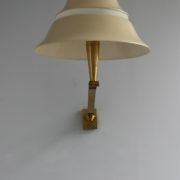 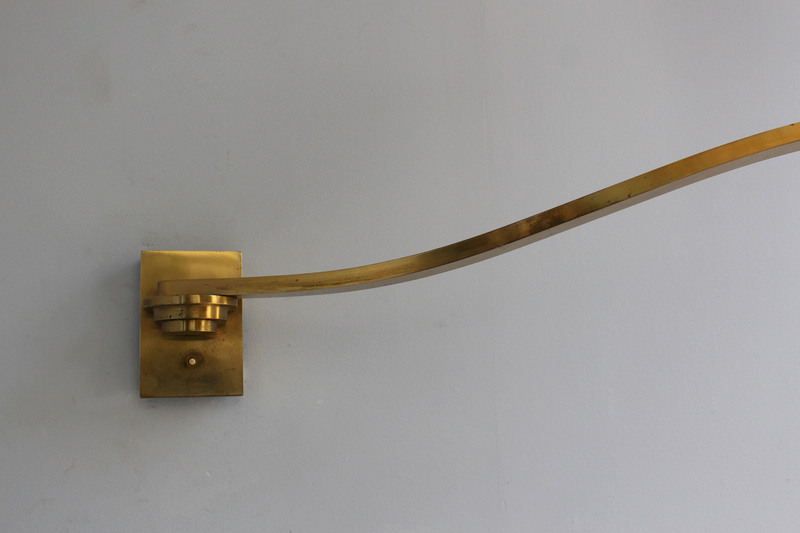 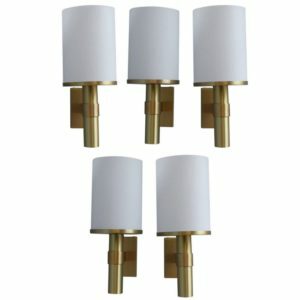 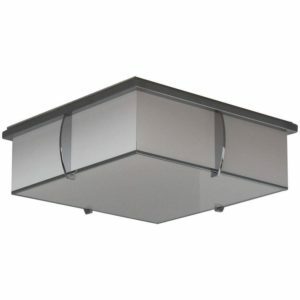 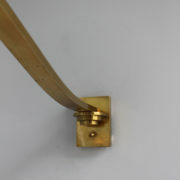 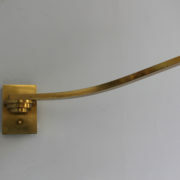 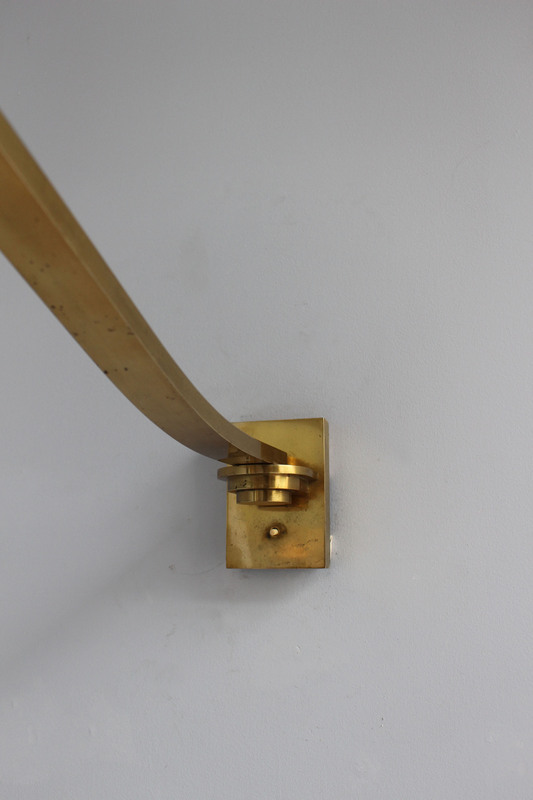 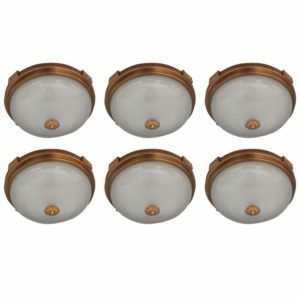 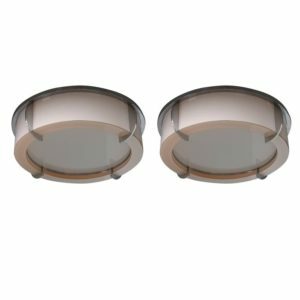 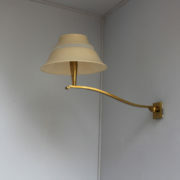 Soyez le premier à laisser votre avis sur “Fine French 1950s Pivoting Wall Sconce by Jean Perzel” Annuler la réponse.